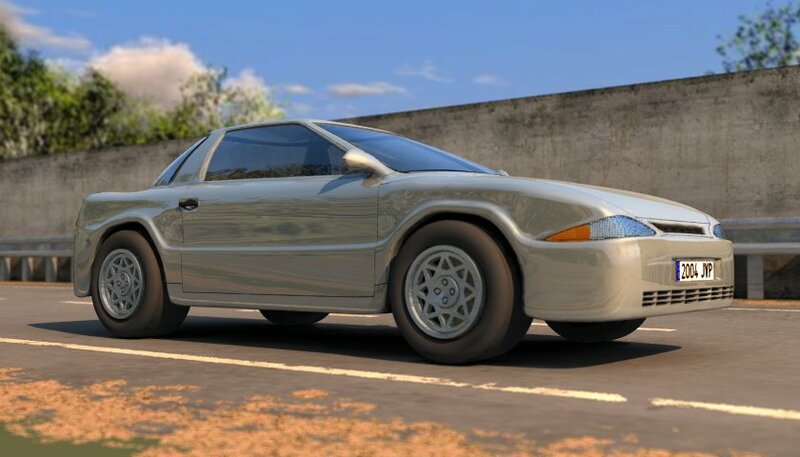 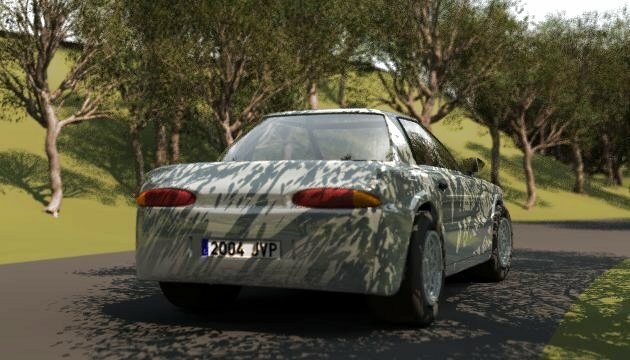 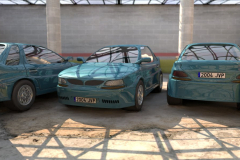 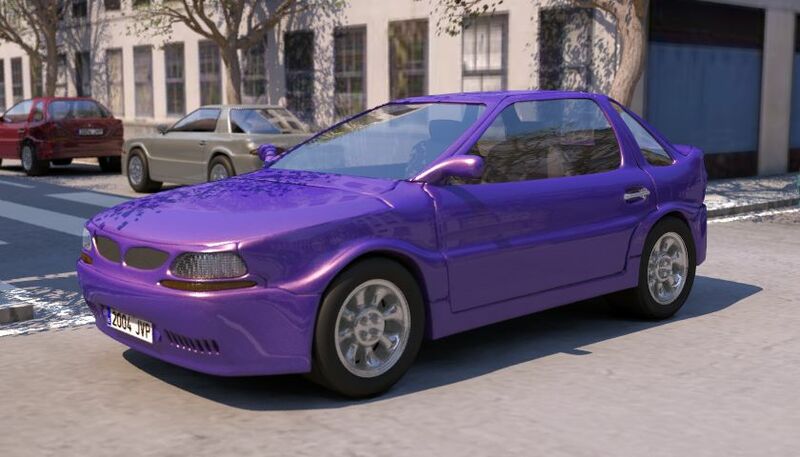 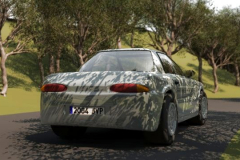 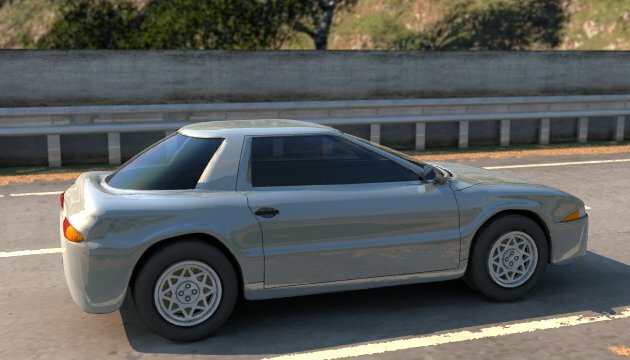 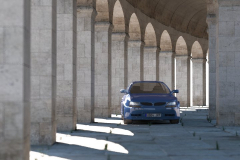 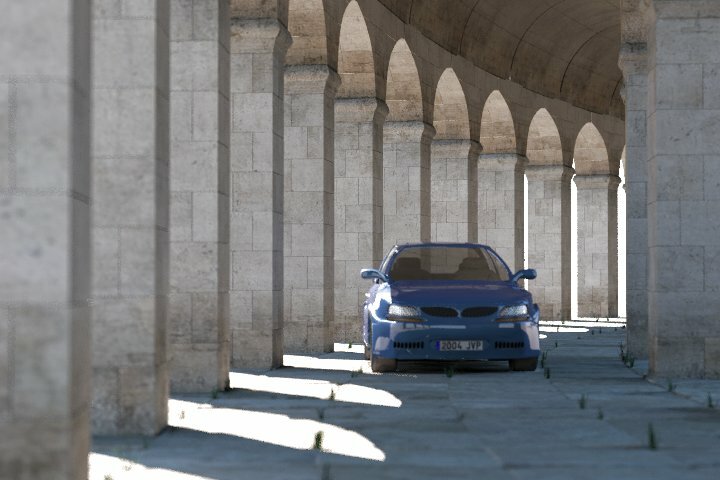 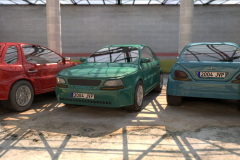 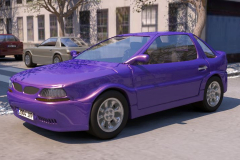 I found a tutorial on modelling an Audi TT with Rhinoceros, and although the techniques where of not much use with Wings3D, I saved the car drawings to setup some image planes as guide. 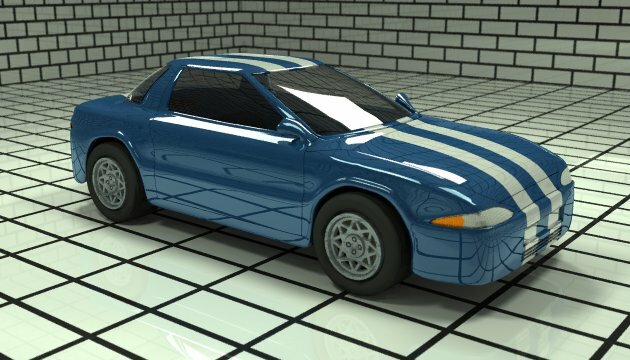 From there I’ve totally improvised the techniques, using mainly extrusion, bevel and smooth. 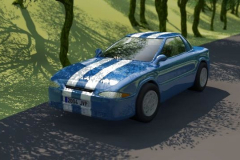 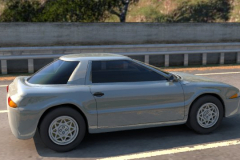 As you can see, I deleted the image guides very early, and the car only has the same basic dimensions as the TT. 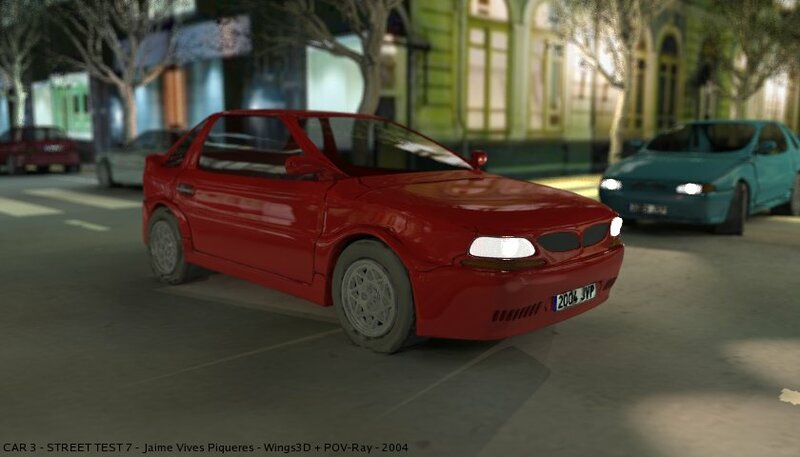 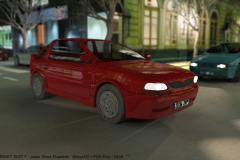 The wheels where not modelled with Wings, but with POV-Ray CSG and a height field for the cover. 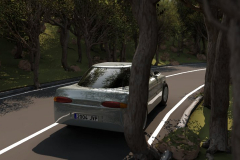 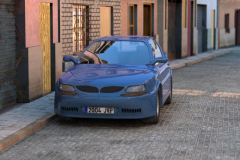 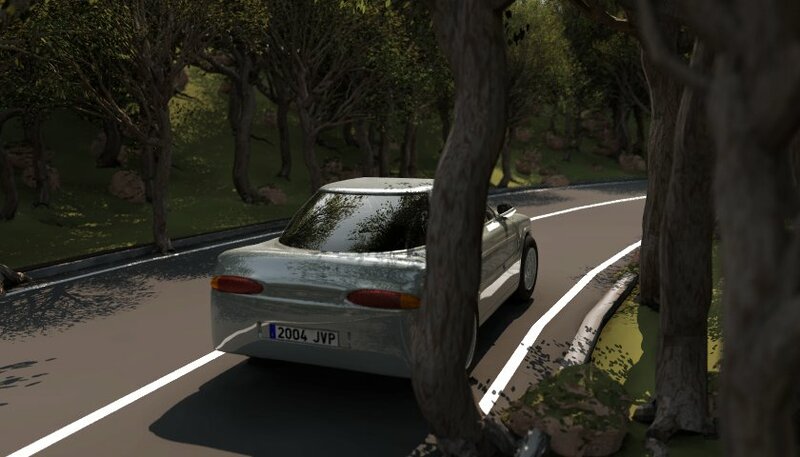 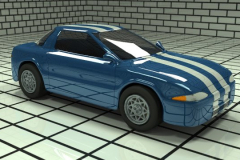 The sceneario is also done with CSG and the road is a hand-painted texture_map. 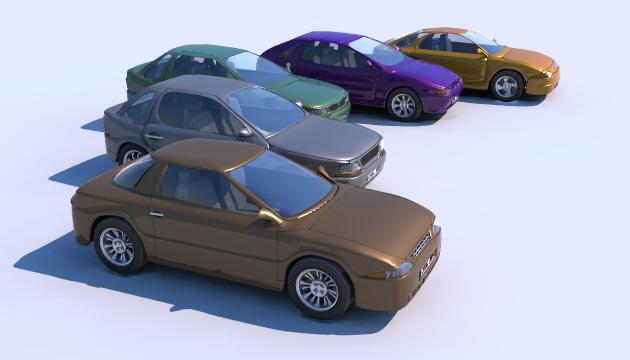 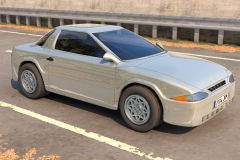 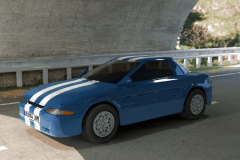 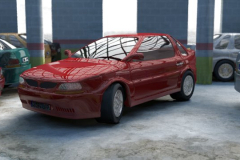 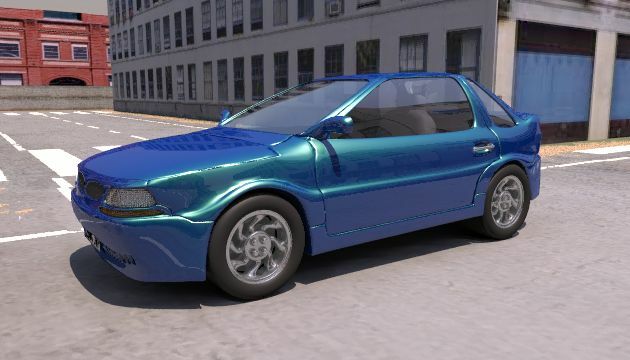 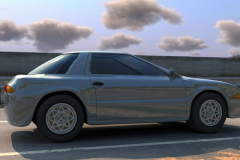 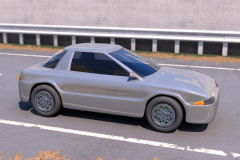 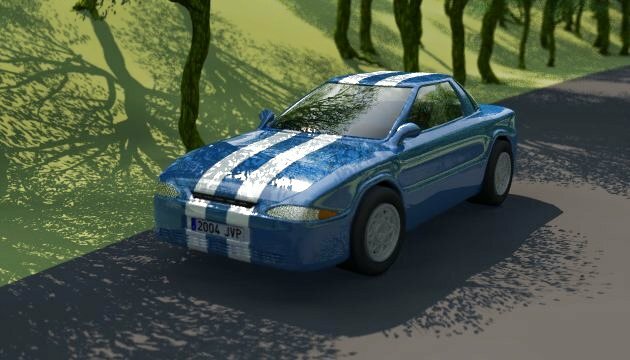 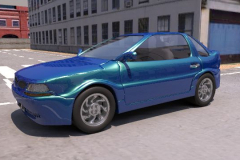 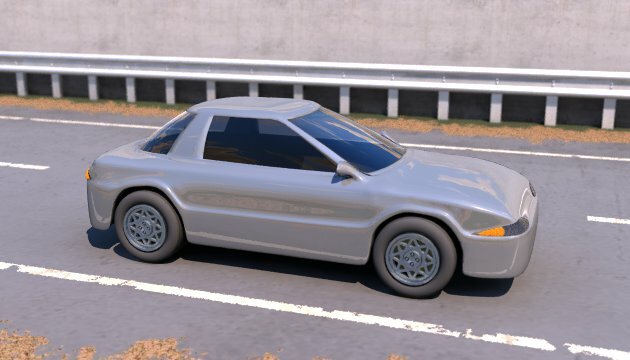 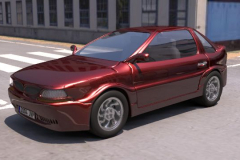 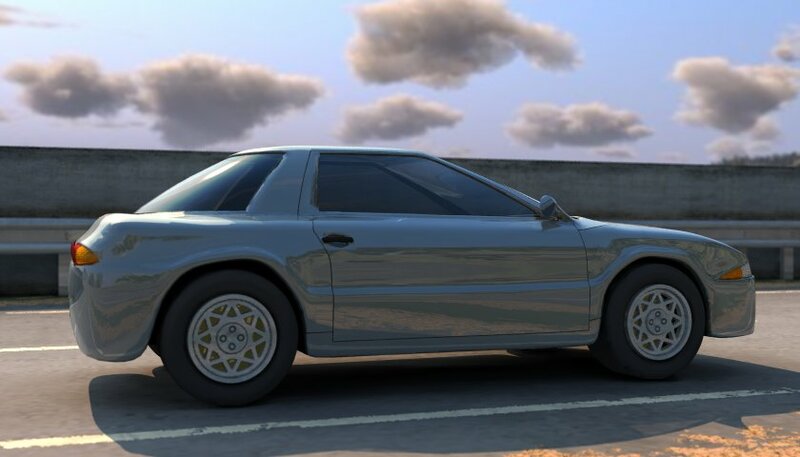 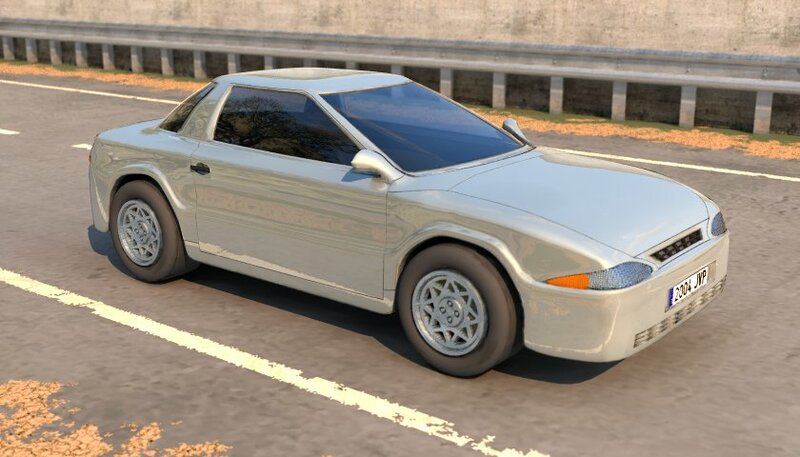 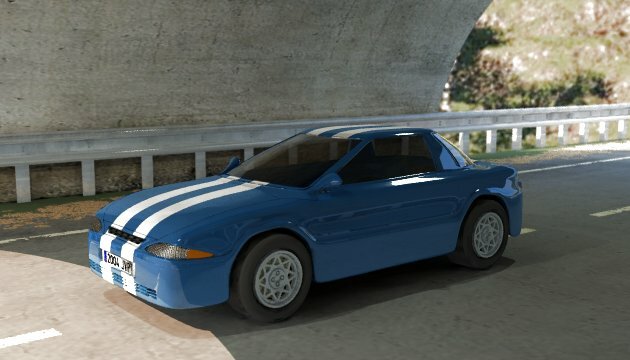 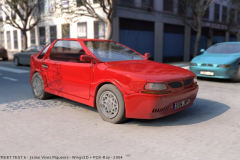 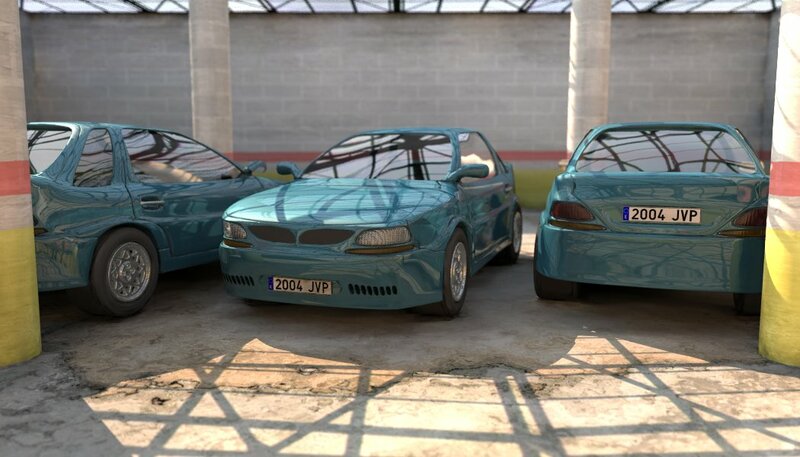 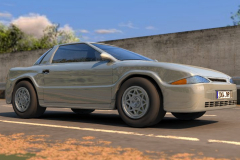 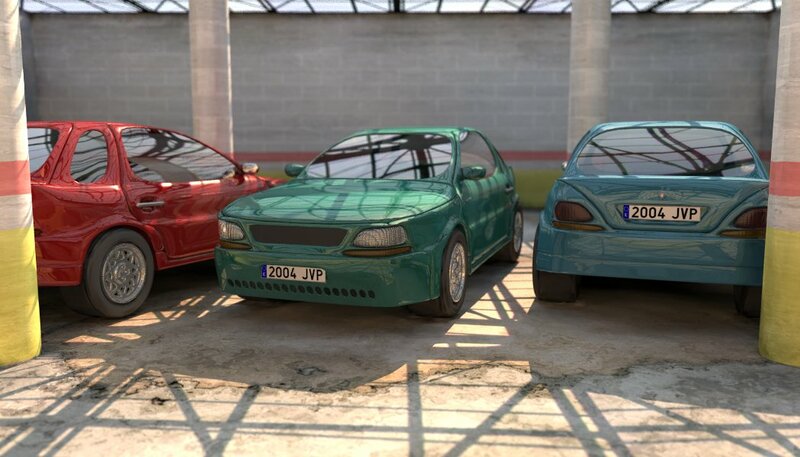 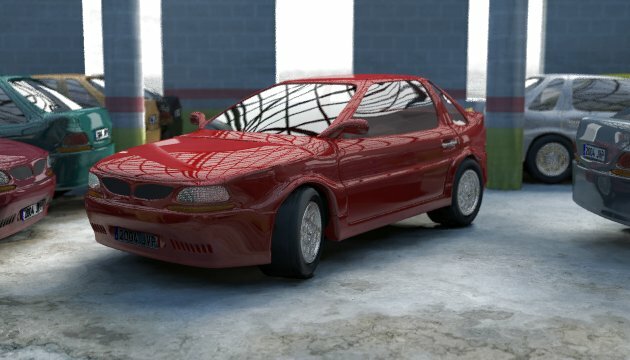 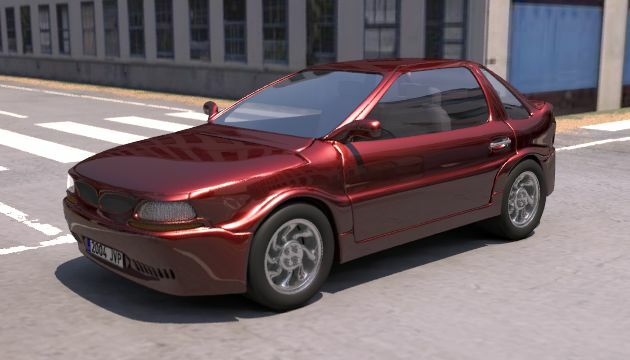 Later, I’ve modelled some more cars, added some better wheel covers, metallized paint, seats, and other details. 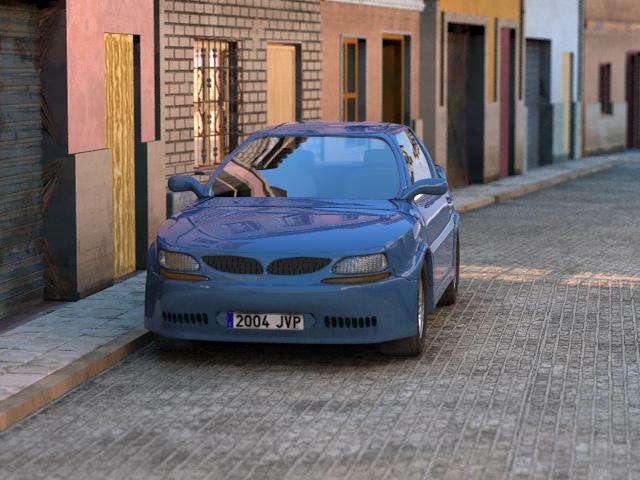 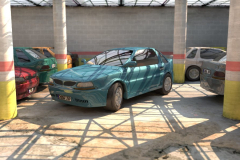 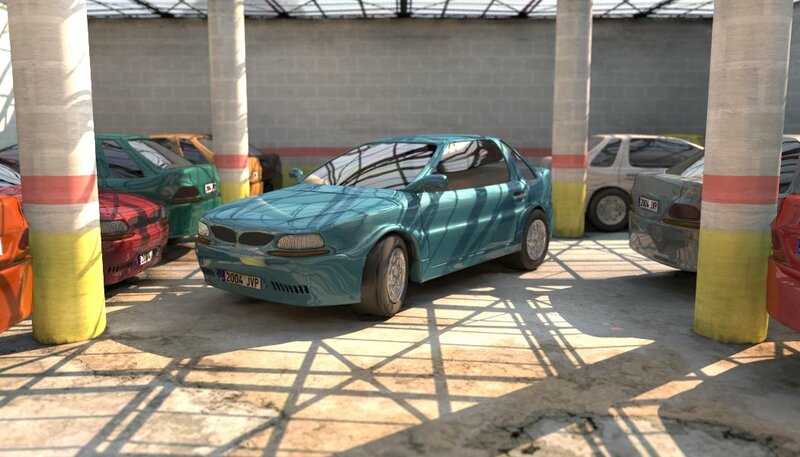 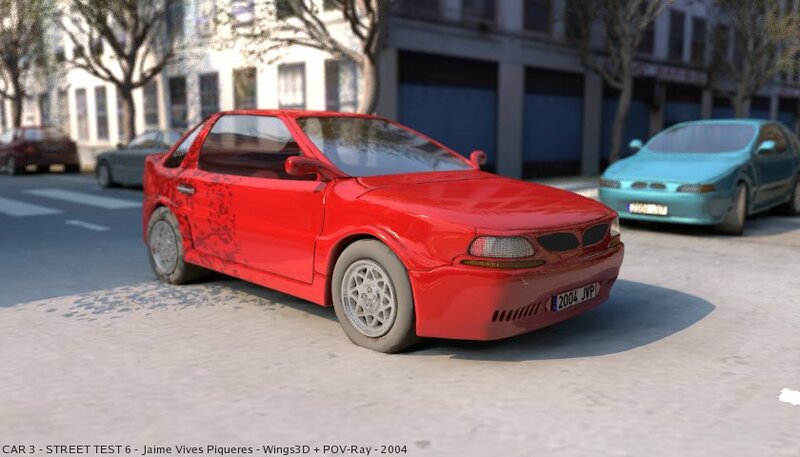 Now the cars are 2-3MB in size (I’m really bad optimizing polygon count), an are detailed enough to be used as seconday objetcs in real scenes, so I released a set with all the meshes, some wrapping macros a demo scene… enjoy!